If Sweden wins, Beckham will take his English counterpart to IKEA to buy anything he wants there; if it is the other way round, Ibrahimovic offers to take Beckham to eat wherever he wants "in the world." “ahaah, good deal,” another one summed up. “He is sick, this guy,” one Instagram user noted in French. "If Sweden wins, you end up advertising for 12 months, winning England, so I start my account at Bethard and buy your creams at the pharmacy and your clothes. Deal???" one said in Swedish, apparently referring to Ibrahimovic’s clothing line and his personal pharmacy brand. “Dear @iamzlatanibrahimovic and @davidbeckham if the match ends in a draw, you can give me vouchers to travel with @ryanair,” he asked. "Hey, boys!!! @iamzlatanibrahimovic @davidbeckham how about this? if England and Sweden play in a draw in regular time, will you send me your shirts with signatures?" 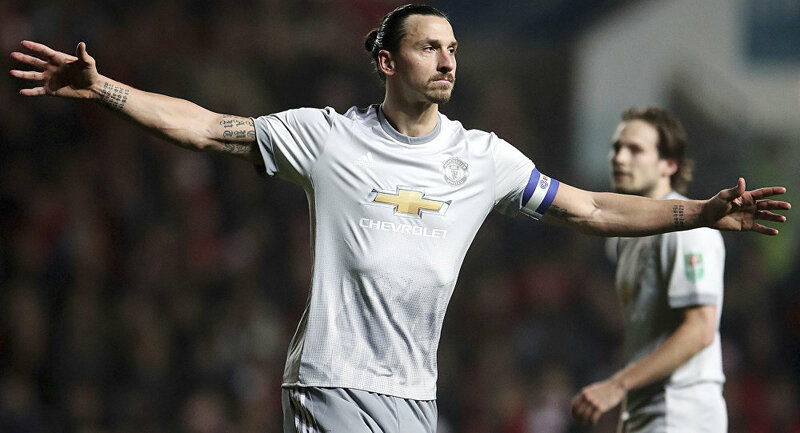 Ibrahimovic is believed to be the best forward in the Swedish team’s history, having netted a total of 62 goals. In March, he left England’s Manchester United for the US’ LA Galaxy. Beckham performed for the English national squad from 1996 to 2009. The midfielder played in 115 games for the national team and scored 17 goals. In 2012-2013 he played together with Ibrahimovic for the Paris Saint-Germain Football Club. The Sweden-England World Cup quarterfinal bout will take place in Samara on July 7 at 5 p.m. Moscow Time.